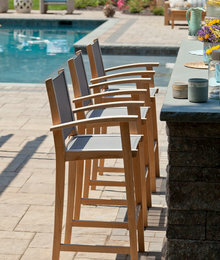 Traditional, functional and comfortable: these are the pillars of polished casual. 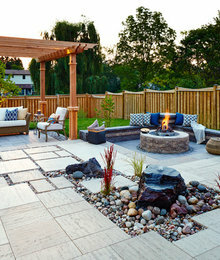 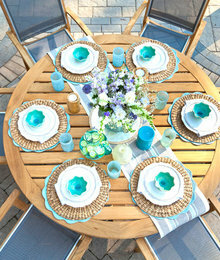 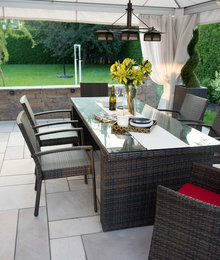 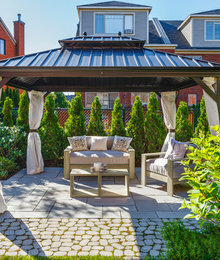 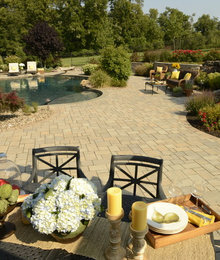 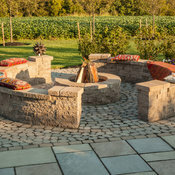 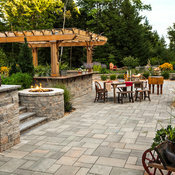 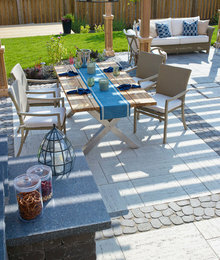 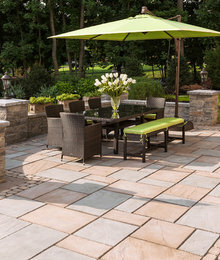 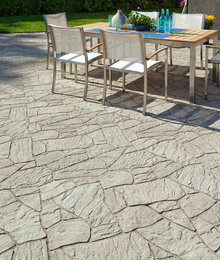 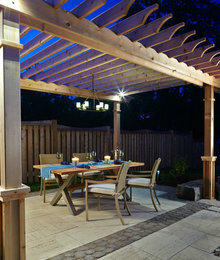 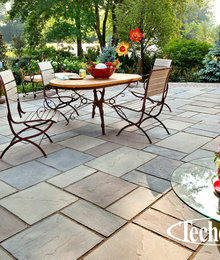 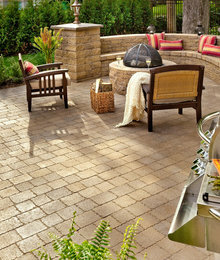 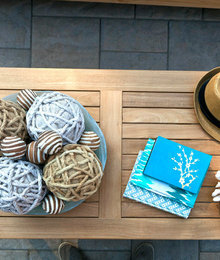 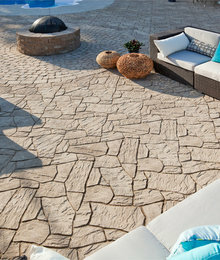 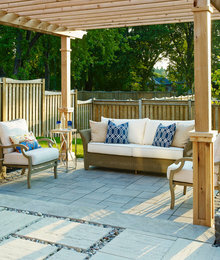 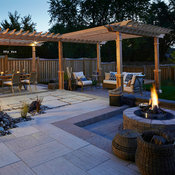 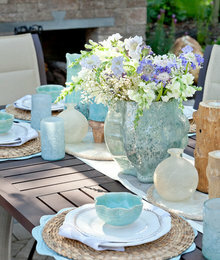 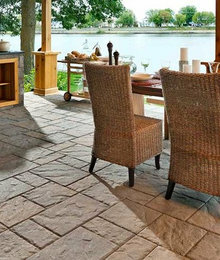 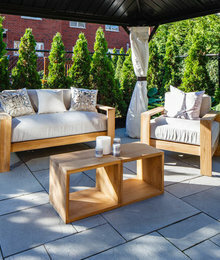 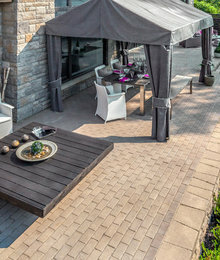 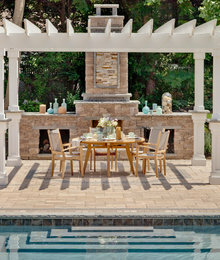 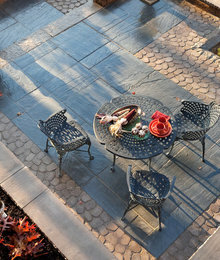 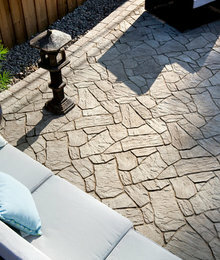 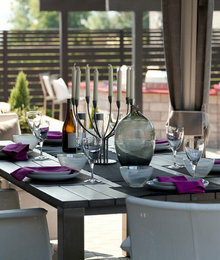 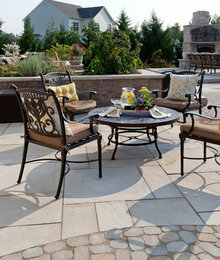 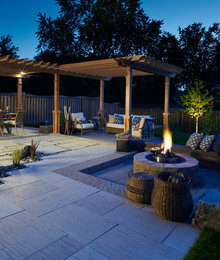 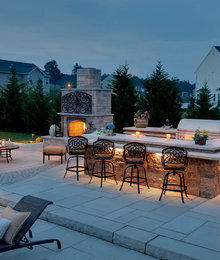 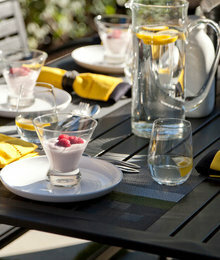 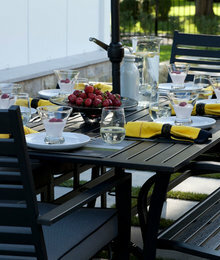 Stick to a neutral color palette and balance it with similar neutrals in your outdoor furniture. 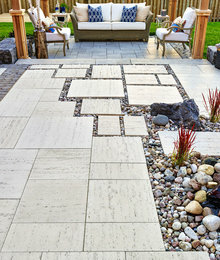 Organization, flow and usability are all main priorities.